1. Players line up as shown with a Coach in the corner with pucks. 2. 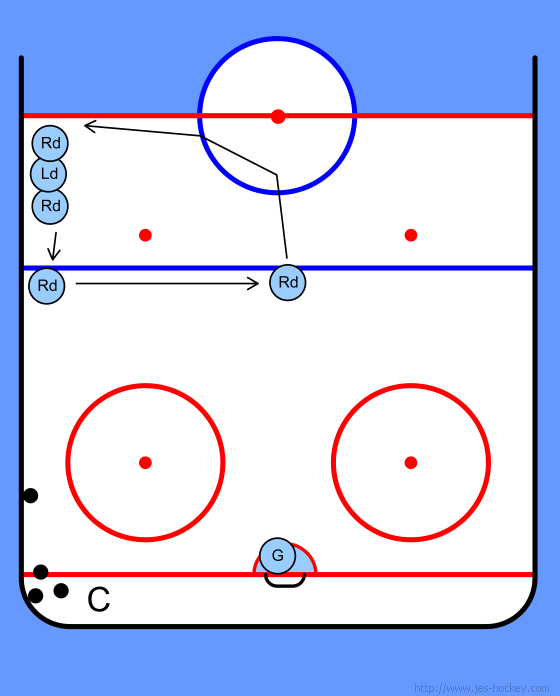 Coach will start off by passing the puck to the Defensemen along the boards who will then make a D to D pass. 3. That Defense then shoots and goes to the end of the line. 4. Players along the boards go to the middle after he makes the pass and so on. 5. Do the drill on both sides of the ice.